If you want to take a trip to Egypt and battle it out with the ancient rulers then take a spin and play The Mummy slot game by Playtech today. This horror themed slot game will fill you with chills as you spin your way to make some huge jackpot wins. However, there are many exciting bonus features that you can unlock along the way. Some bonus features you can expect whilst playing The Mummy include; wild symbols, scatter symbols and other bonus features. Make sure you play The Mummy for your chance to win huge cash prizes today! The Mummy comes with 5 reels and 25 paylines which is full of symbols from the movie which can allow you to win some huge jackpot prizes. When you place bets, make sure you are happy with the amount as you will be betting per line. The minimum you can bet for each line is 5p and the highest you can bet per line is £1.00. The higher the bet you place the higher the rewards you will receive so start spinning and see how much cash you could win. The overall design of this slot game by Playtech looks like a take on the movie with all the characters that appear on the reel. The background of the reel looks like it is inside one of the tombs, the colours and lighting in the background creates an eerie feel to the game which matches to the overall horror theme. When you play the slot game The Mummy, you can find many ancient Egyptian themed symbols that are worth different amounts – some are high paying and others are low paying. 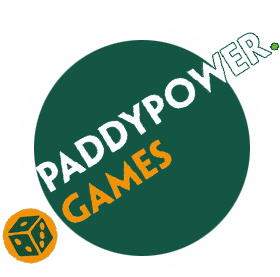 The high paying symbols include the scatter symbols which appear as the logo of the game, the scorpion scatter symbol is also a high paying symbol. The male and female Egyptian rulers and the main characters from the movie are also high paying symbols. 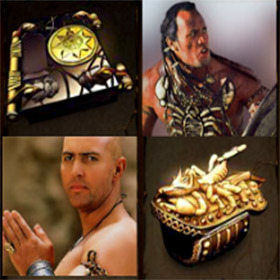 The low paying symbols include a treasure chest, a book, weapons, a blue beetle and Egyptian ornaments. 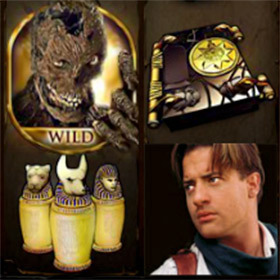 Whilst you play the slot game The Mummy and if you are lucky enough, you could spin and land a few wild symbols on the reel. The wild symbol in this game is a mummy and although in the movie this is a bad guy, it allows you to make some great cash wins. For example, it can substitute for any symbol other than the scatter symbol and other bonus feature symbols. There are many great bonus features that can help you win great cash prizes whilst you play The Mummy slot game. 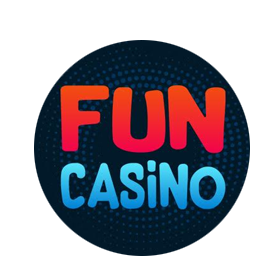 There are 8 features to collect which include; The Lost City Adventure Bonus – this allows you to pick boxes to win great cash prizes, Scorpion Scatter pays with a special paytable, the Expanding Mummy becomes an expanding wild symbol. The Scarab Attack adds wild symbols randomly on the reel, the Collapsing Reels makes new combinations of symbols as they fall down, Mummy Power allows some great wins and the Mummy Respin freezes the reel until there is a match on the reel. The other Lost City Adventure Bonus allows the hot air balloon to be added to the reel if won. The Mummy will have you on the edge of your seat as you set off on an adventure whilst you spin for your chance to win huge cash prizes. Play today and see what you could win!